Protects fingers during close work with sharp instruments. 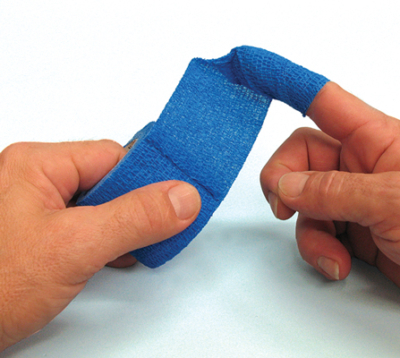 Self-adhering tape is easy to apply and requires no pins, clips or adhesive to secure it. Tape won’t loosen over time and stays in place until removed. Doesn’t stick to hair, skin — only to itself. Re-positionable! 2″ wide x 15‘ long. 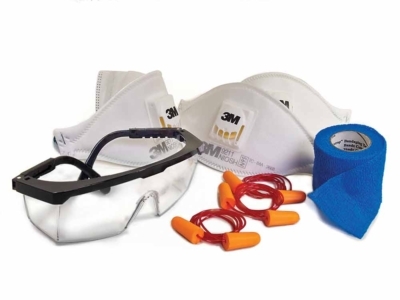 3M Soft Foam Ear Plugs are made of hypo-allergenic materials and have a tapered cone shape for a good fit and comfort. 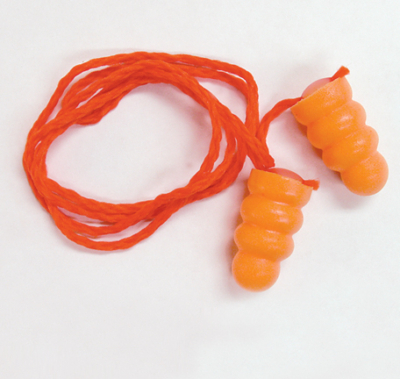 Plastic cord prevents tangling. Part of the beauty of using hand tools is that they are quiet. Here’s a way to get even more of it! 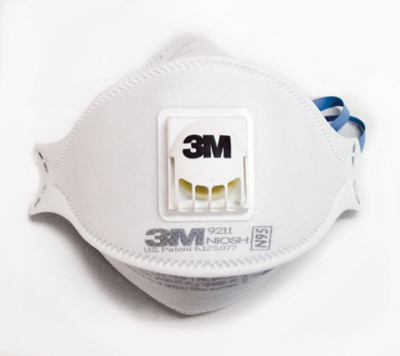 A three-panel respirator with low profile design that folds flat and fits a wide range of face sizes. Comfortable, lightweight and convenient. Has Cool FlowTM Exhalation Valve for work in heat and humidity. 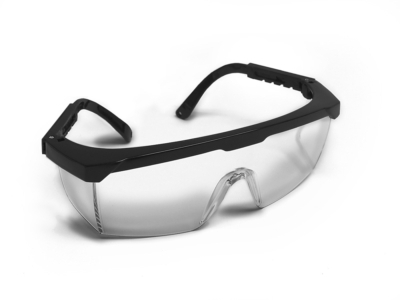 Clear polycarbonate glasses with a contemporary style and unitary lens design. Temples are length adjustable with slotted ends. Comes with neck cord.